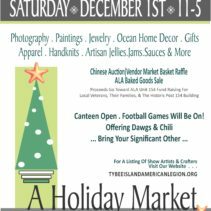 On Saturday, December 1st from 11:00am to 5:00pm the American Legion Auxiliary Unit 154 will have their 4th Annual Holiday Market at the Tybee Island American Legion Post 154 at 10 Veterans Drive. 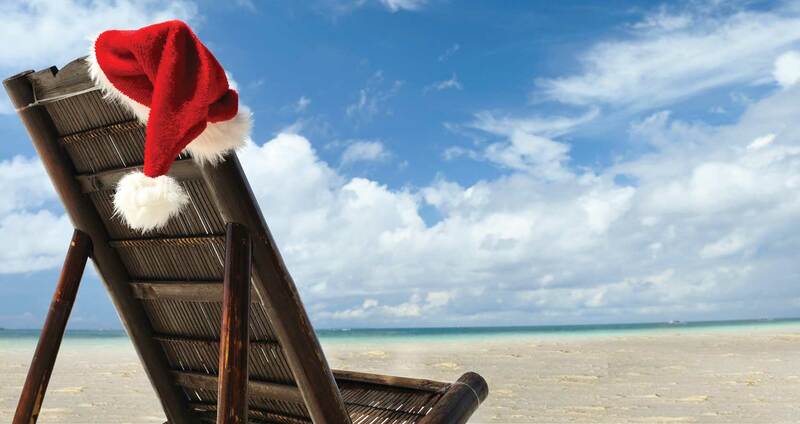 The arts, crafts, and culinary market will include photography, paintings, jewelry, ocean home decor, gifts, apparel, handknits, artisan jellies, jams, sauces & more. There will be a Chinese Auction, Vendor Market Basket Raffle, and ALA Baked Goods Sale with all proceeds going towards ALA Unit 154 fund raising for local veterans, their families, & the historic Post 154 building. Bring your significant other too… the canteen will be open and the football games will be on! Also offering dawgs & chili. For a listing of show artists & crafters, visit the legion’s website here.